When it comes to Toyota, TRD means rough, it means tough, it means stylish, and it means awesome. The Toyota Racing Development segment has been making history with win after win since 1954. Vehicles in this division are unique and reserved for Clermont Toyota races both on and off the track. In honor of the racing heritage of Toyota, TRD models have been created and can usually be found on our lot at Toyota of Clermont. These special trim levels can have different engineering or aesthetic modifications, depending on the TRD model you select. While we currently have TRD models for the Clermont Toyota Tundra, 4Runner, and Tacoma, there are several announced models that are soon to arrive at the dealership. Here’s what we know so far! The Toyota Camry TRD will have track tuned suspension that enhances steering, cornering, and straight-line performance. Anti-sway bars increase the front and rear stiffness significantly. 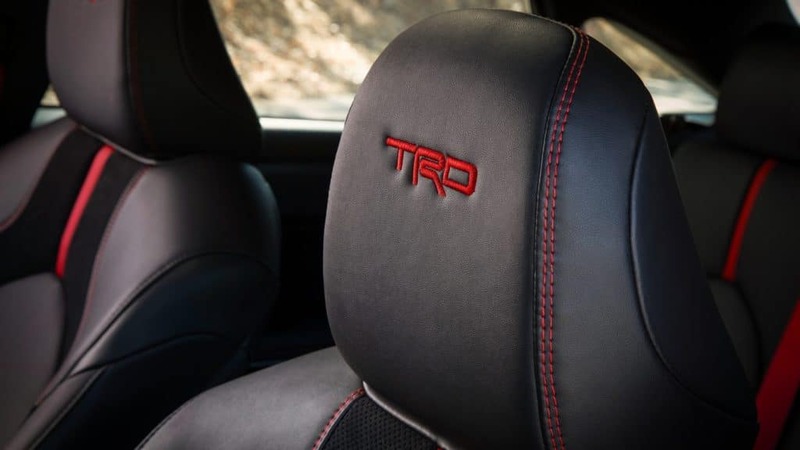 Both TRD models will feature exclusive red accents in the interior ranging from lighting, stitching, and infotainment graphics. The Clermont Toyota Avalon will feature lighter wheels and larger front brakes. Both vehicles’ coil springs will lower the vehicles by 0.6 inches to give them more aggressive stances. Unique TRD model grille design with “TOYOTA” prominently displayed. A retuned suspension system with red TRD model springs. Are you excited for the arrival of these Toyota TRD models to the dealership? Some are available now and the rest will be on the way soon. Make sure to check our inventory online anytime or visit Toyota of Clermont at 16851 State Road 50 seven days a week!